Geordi includes aqua accessories and purple Dilithium Crystals. 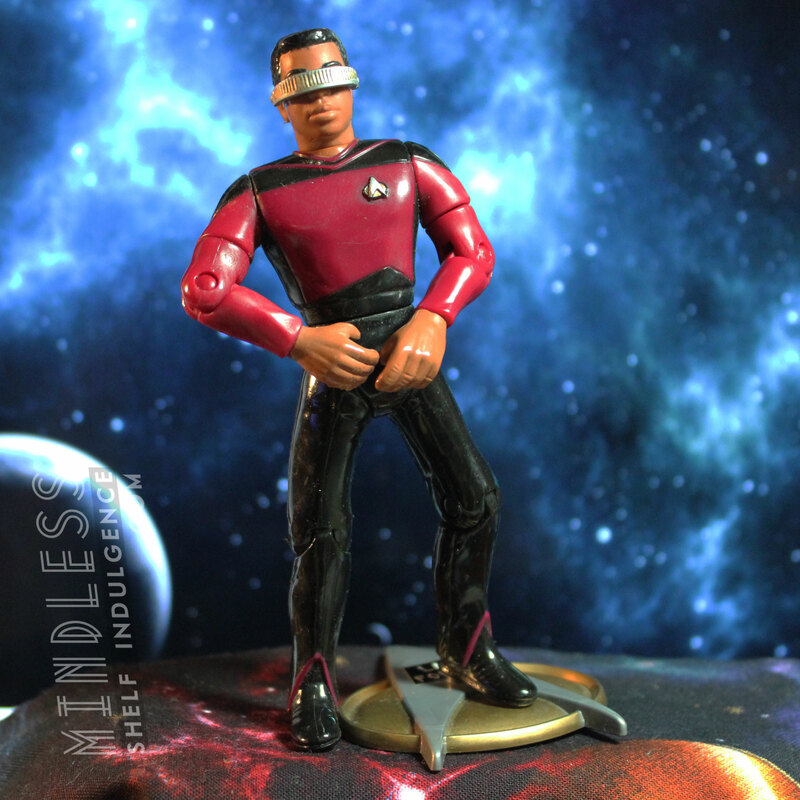 This First Season Geordi is differentiated because he’s the only one in a red shirt. 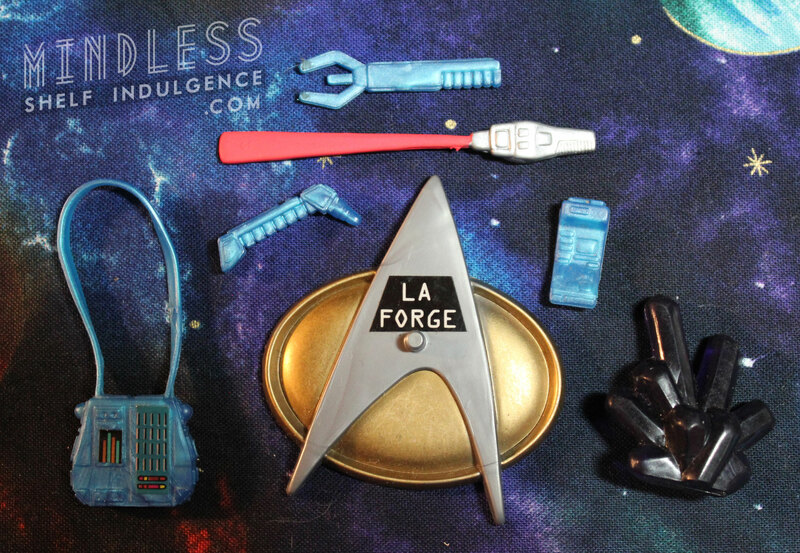 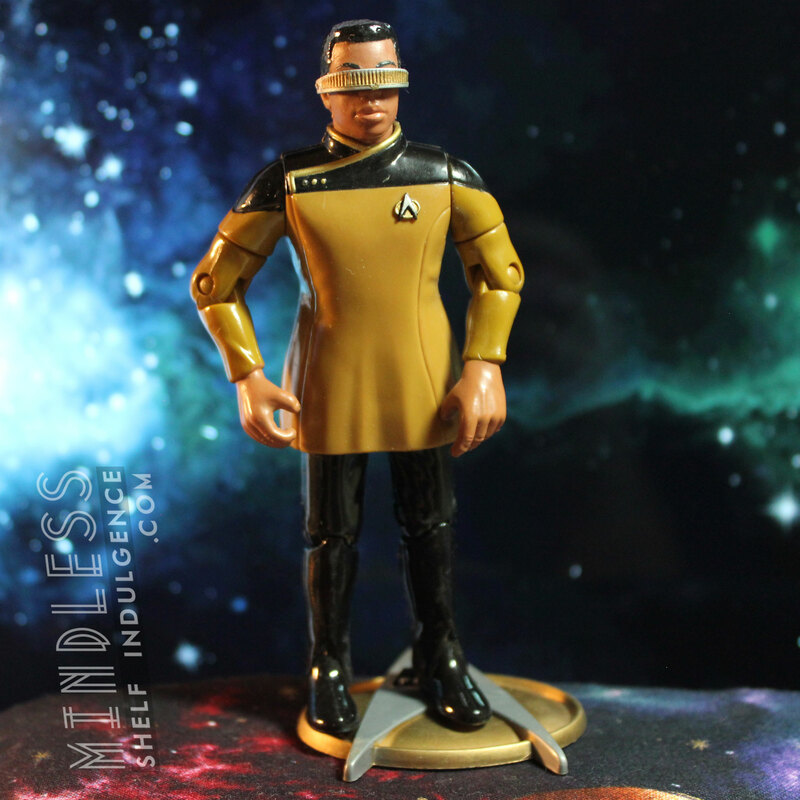 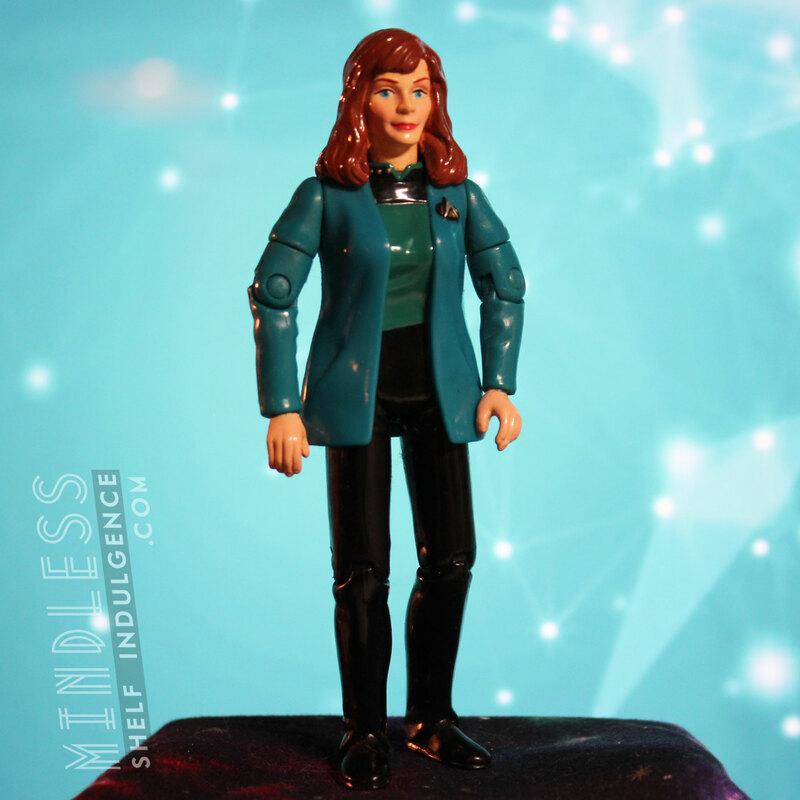 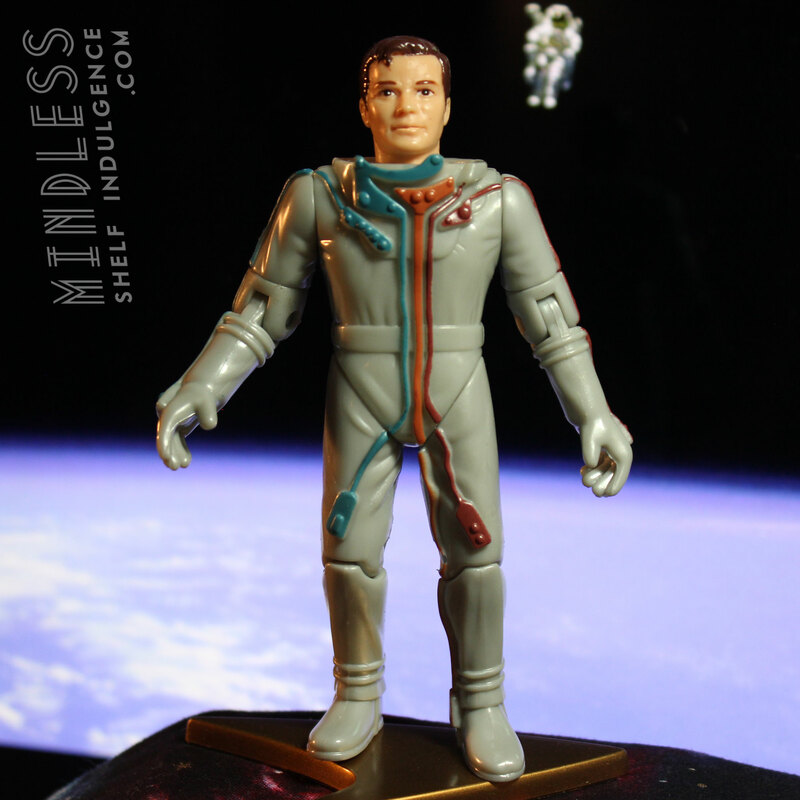 There are so many Geordi variations that he’s not even the only one in this second wave of Playmates 4.5″ figures; there’s also Formal Geordi in this wave, an earlier Geordi in gold, Generations Geordi (with non-articulated arms), and a few more that are easy to tell apart.